The Event Room is hosting our Sunday Soul Food Social with singer and producer, Donnie Sundal, a member of the band, Bookou Groove. At the Event Room, we love to provide you with the best in entertainment while serving you a pleasing and appetizing meal. The band Bookou Groove first started on stage in New Orleans, Louisiana. The band played from genres such as New Orleans Funk, Soul and Blues, and Rhythm and Blues. Donnie Sundal is now doing solo performances and has settled in Destin, Florida. He will join us for a musical performance at our Sunday Soul Food Social. Donnie’s solo music is eclectic and his voice is soulful. He has performed at the 30-A Songwriters Musical Festival. Our Sunday Soul Food Social will have delicious soul food catered and served by the Event Room and your plate will include your choice of Grilled Pork Chops or Grilled Chicken, along with Red Beans and Rice and Cabbage. Please bring your beverage of choice. The Sunday Soul Food Social with Donnie Sundal is Sunday, October 29th between 4 PM- 7 PM. We are located in Fort Walton Beach at 1825 Hulburt Road in Suite 11. The admission is $15. 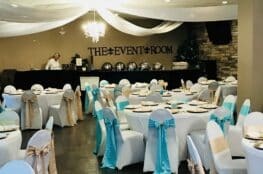 At The Event Room, we provide excellent catering, decorating and an event planner if one is desired. 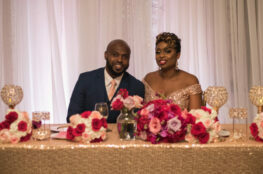 LaShana will work with you to make your event one of a kind. We host a multitude of events. 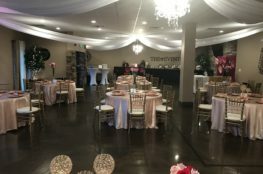 Whether you are planning a Wedding, Office Party, Birthday Party, Religious Celebration or any other type of event, we are the premier location in Fort Walton Beach and on the Emerald Coast of Florida. Please let us know if you are a destination bride so we can accommodate you. For more information on our event venue, please visit The Experience Page on our website.